Satan’s Whiskers is a Bronx Cocktail with a suit and tie. I like the Bronx, but it’s quite spartan compared to the lush richness of Satan’s Whiskers. If I had to pick one or the other, the Satan’s Whiskers Cocktail is my choice. Satan’s Whiskers adds a dollop of Grand Marnier to the Bronx, which provides a complexity of flavor and a touch of sweetness that many find appealing—heck, even I like it, and regular readers know that I have a low tolerance for sweet drinks. The trick with Satan’s Whiskers is that it is fruity without being overly sweet. It’s all about the orange—orange drives the flavor profile; in fact, it’s easy to lose the gin altogether if you go too heavy on the orange juice, or if you use one of the lighter gins. When the cocktail first appeared in Harry Craddock’s Savoy Cocktail Book (1930), there were two versions, “Satan’s Whiskers (straight)” and “Satan’s Whiskers (curled).” Very cute. The “straight” used Grand Marnier; the “curled,” generic curaçao. There is even a school of thought that says you should drink only the Curled when it’s light out, and the Straight after dark. (Even cuter.) I’m guessing Craddock was just working two different price points with an upscale variant. Shake all ingredients with ice (don’t overshake.) Strain into a chilled cocktail stem. No garnish. This relatively low-alcohol “original” version emphasizes the vermouth and plays down the orange flavors. My favorite version is Dale DeGroff’s gin- and orange-heavy formula from The Craft of the Cocktail (2002.) DeGroff says his recipe is adapted from a 1930s recipe presented by Hollywood’s Embassy Club. Shake all ingredients with ice (don’t overshake.) Strain into a chilled cocktail stem. Garnish with orange. This version is obviously more about gin and orange than the original, and plays down the vermouths and Grand Marnier. 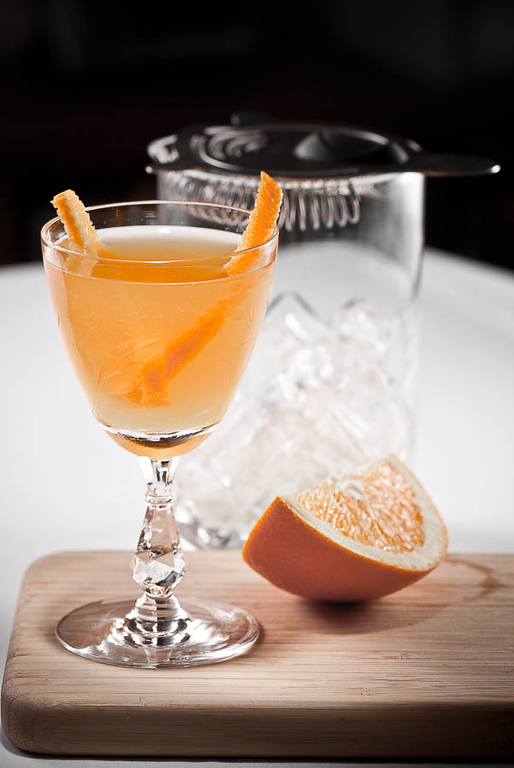 It certainly emphasizes that this drink is all about the balance between gin and orange. I prefer a standard juniper-forward London Dry, specifically Tanqueray, for Satan’s Whiskers. If you like your gins with a little less juniper, you could try the less junipery (but higher proof) Plymouth Navy Strength. Robert Hess recommends the very light Hendrick’s in his video at The Cocktail Spirit; I can’t say that the cucumber in that gin really adds anything to the drink, but it does make a version of Satan’s Whiskers that would be an excellent cocktail for someone still developing a taste for gin. An “Old Tom” style gin (like Hayden’s) also makes a very light, rather sweetish version of the drink. As with the Bronx, the characteristics of your orange juice will guide your proportions. If your juice is fairly sweet, you may want to cut back the Grand Marnier and go with drier vermouths. “The Satan’s Whiskers Cocktail” at cold-glass.com : All text and photos copyright © 2011 Douglas M. Ford. All rights reserved. For what it is worth, when Erik Adkins opened Flora in Oakland, he had a drink on the menu called Satan’s Soul Patch. It’s a Satan’s Whiskers with Bourbon instead of Gin. For any of these drinks, I believe it is entirely appropriate to garnish with a flamed orange peel. Flamed orange peel? I definitely agree. The Dale DeGroff Special. I really love the pairing of gin and orange juice in almost any cocktail. Have you tried the Smart Christine? 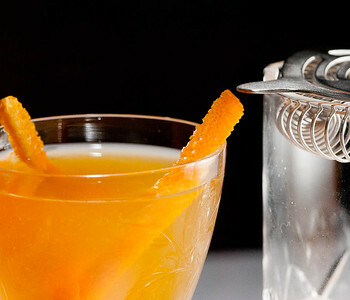 It is one of my favorites and a quite simple mix of gin, orange juice, and benedictine. There is nothing in it to interrupt the marriage of the gin and orange juice save just a hint of additional herbal. I look forward to trying it. Thanks for the idea.